A bootable Windows 10 USB is very convenient to have on your when you’re working in a primarily Windows environment. Since it contains the full ISO file for a Windows 10 installation, you can use it for a clean install, as well as for reinstallation, diagnostics and system repairs. As such, it is an essential part of any system administrator’s emergency kit. This article reviews one of the best available tools to make a bootable Windows 10 USB flash drive on a Windows machine. 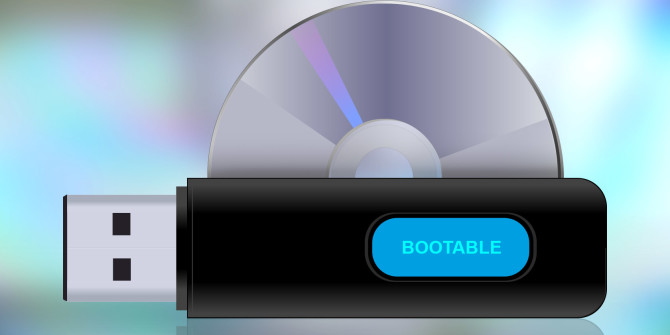 What is a Bootable Disk and How is it Different from Other Disks? A bootable USB or disk contains the system booting information required to run it at the time the BIOS settings are loaded. Such drives and disks are typically used to install software and even do demos without having to install the software. Since it contains boot information, that makes it very different from having the software or application alone in the USB drive. The latter cannot be used to boot a computer from; it is merely a copy of the software. In order to load the software, the boot information is required. As an example, you can run the Ubuntu distribution of Linux using something called a Live USB. It allows you to create the Ubuntu environment without actually having to install it on the computer. The key difference between a bootable USB and an ordinary disk or drive is the boot information and the fact that you can boot up a computer from the media instead of from the native OS installation files in the computer’s hard drive. In order to create the USB drive, you will need a disk authoring software like UUbyte ISO Burner. It is one of the most powerful utilities in this category and can be used for a lot more than creating bootable media. 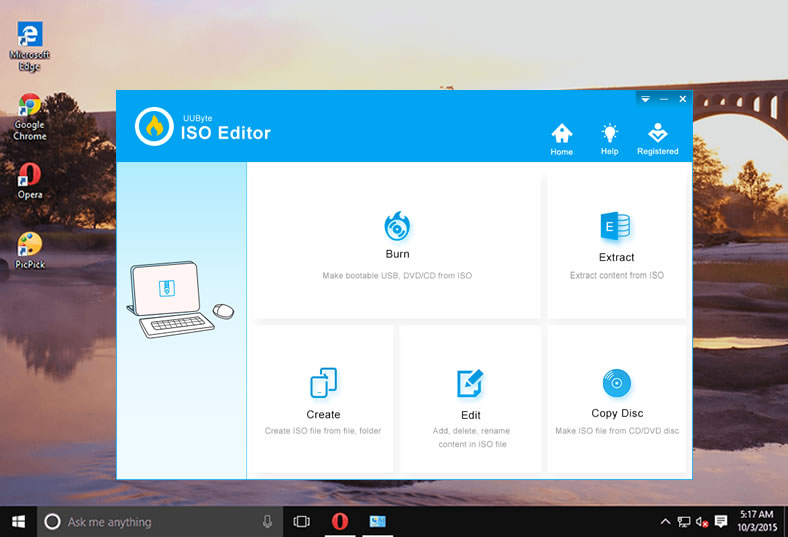 This includes functions like creating and editing ISO files, copying data from a disk to an ISO, extracting files from ISO and more. However, the scope of this piece is limited to how it can be used to create bootable media when you already have the Windows ISO file ready. Step 1: Install and launch UUbyte ISO Burner on your PC or Mac. Make sure you download the appropriate version from UUByte website. Also, download the Windows 10 ISO file from the corresponding Microsoft web page. Step 2: Launch UUbyte ISO Burner and insert a USB flash drive with enough space to hold the Windows 10 ISO file and boot information. It is recommended that you use a blank USB with at least 5GB of usable space for this purpose because any data on it will be erased during the process of creating the bootable media. Step 3: In the UUbyte interface, click on the Burn module on the main page. 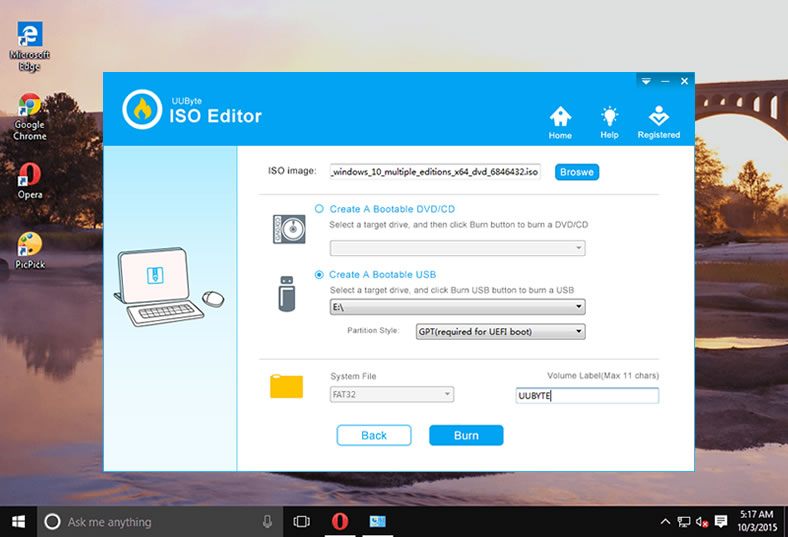 Step 4: At the top, there’s an option to select and import the ISO file. Do that now. You will see that the USB drive has been automatically detected, and default settings like drive, partition style and file system type have been applied. You can leave these default values as they are. Step 5: The software is now ready to create the bootable Windows 10 USB drive. All you have to do is click the big Burn button and start the process. In a few minutes, your bootable drive will be ready. There are several advantages to using this particular software. First of all, it boasts a 100% success rate for burning ISO files to create bootable media. Anyone who is familiar with the process knows that creating bootable media is a finicky process where a lot of things can go wrong. UUbyte solves these issues by choosing the correct file system and partition style for the USB by default once you import the ISO file. Note: In certain cases, if you use the wrong partition type, the USB won’t work. That’s not a problem with your bootable media, but rather your computer’s hard drive. Windows 10 requires a GPT partition, which is required to support a UEFI boot. If your hard drive is configured for a different mode, you may get this error: “Windows cannot be installed to this disk. The selected disk is not of the GPT partition style.” This is generally not a problem with newer machines, but older machines have their drives partitioned in legacy BIOS mode. In such cases, you need to configure the hard drive for a UEFI boot, which is more secure and also has shorter startup and shutdown times. Another reason to use UUbyte ISO Burner is that you can do a lot more with ISO files. If there are files that need to be added or removed, you can do that directly from within the software. You can also create ISO from a physical disk, which is very useful when you have media that you’d like to transfer to a different location. Probably the biggest advantage of using this software is its flexibility to create bootable media on USB as well as physical disks like DVD and CD. Many other utilities only have the ability to create a bootable disk, whereas UUbyte lets you choose the appropriate storage medium to create the bootable media.